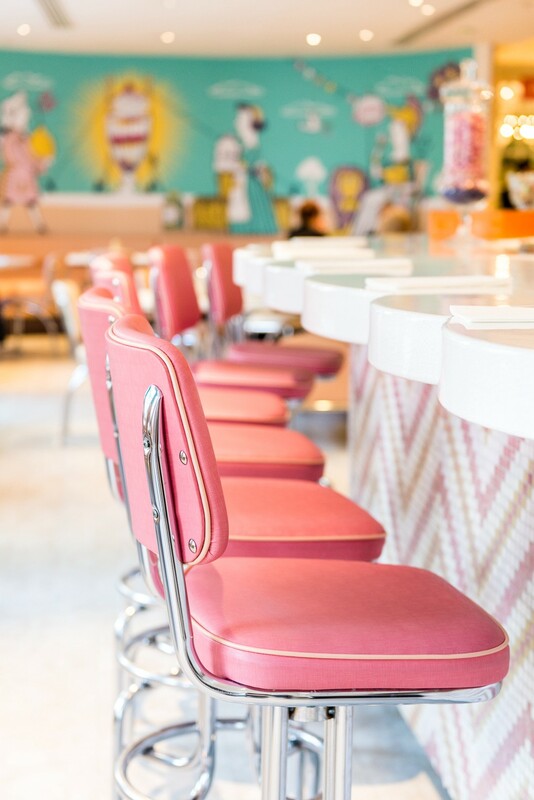 The super sweet dessert parlour where you can design your own treats. The Parlour at Fortnum & Mason has the most fantastic selection of nostalgic treats. 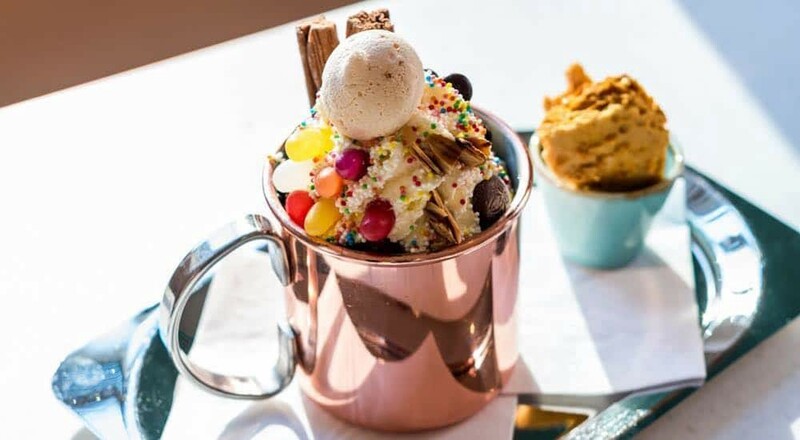 From ice cream sundaes and fancy floats, to hot chocolates piled with marshmallows and biscuits, a trip to The Parlour is just like stepping into Willy Wonka’s world (or, at the very least, a slightly more magical Pizza Hut Ice Cream Factory). 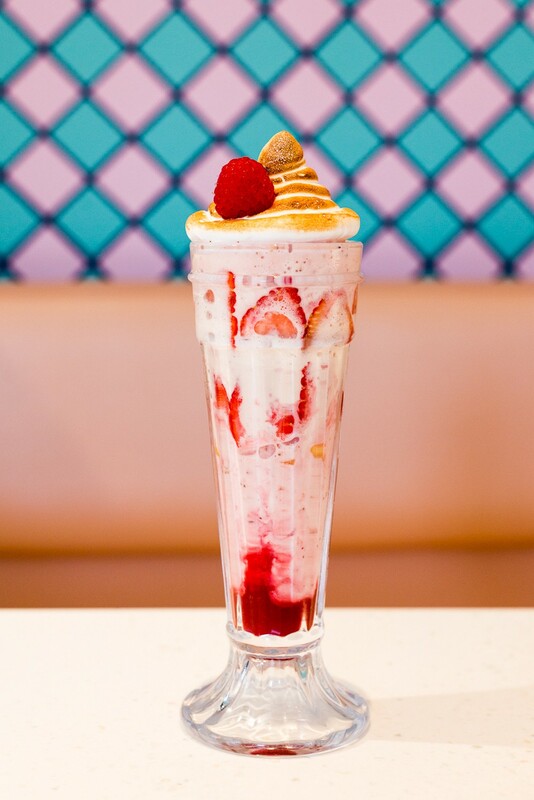 The menu is a miscellany of desserts, but we’ll start with the sundaes. 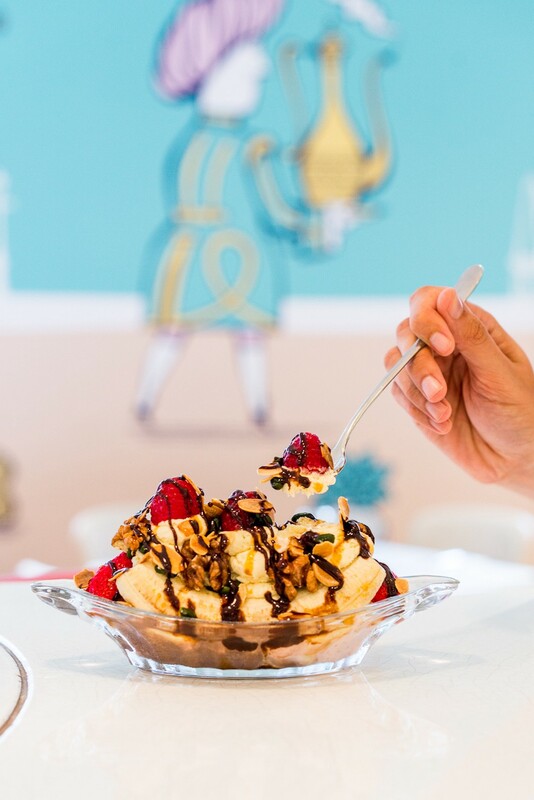 There’s a glorious selection of Fortnum creations, featuring the likes of the famous Knickerbocker Glory with strawberry and vanilla ice cream, chunks of pineapple, raspberry coulis, meringue and popping candy; The Honey Bee with lemon sorbet, honeycomb ice cream, honey, ginger biscuit crumble, and Fortnum’s London honeycomb; or a vegan Banana Split. Alternatively, you can build your own sundae by choosing all your favourite ingredients from a check list and sending it off to be made. Magic! It’s a similar operation at the Hot Chocolate Bar, except here you choose from dark, milk, ruby or salted caramel hot chocolate, before topping it with your choice of biscuit, marshmallows and/or nuts. 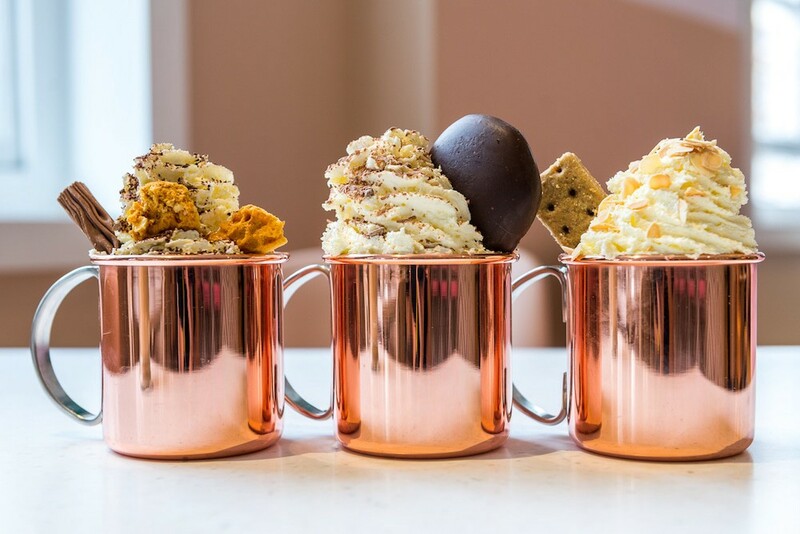 The ice cream floats are a particularly interesting part of the menu, as not only do they have a classic Coke Float, but have at it: there’s also a Sparkling Float with mandarin sorbet and butterscotch sauce floating in a special Copenhagen sparkling tea. Don’t you ever tell me that an ice cream float isn’t classy. You can also pop along for pancakes, croissants, cakes, or for savouries such as sarnies and eggs. They’ve even got beer and wine so you’ll be feeling absolutely fine. Who needs a golden ticket, eh? Location: The Parlour, Fortnum & Mason, 181 Piccadilly, W1A 1ER. See it on Google Maps. Opening hours: Monday to Wednesday, 10am–8pm. Thursday to Saturday, 10am–8pm (10am–9pm between February 28 and April 20). Sundays, 11:30am–5pm. More information: on Fortnum’s website.